Belgian Gymnastics: Nina Derwael and Noah Kuavita are the 2018 Belgian Champions! 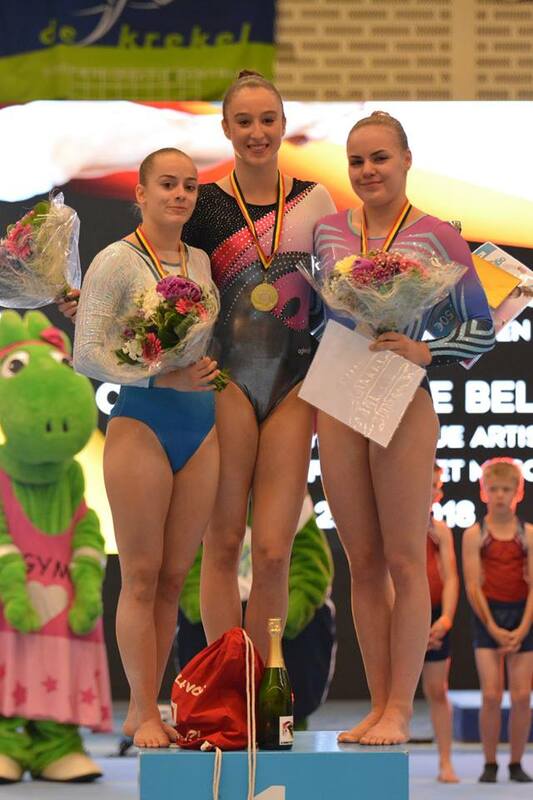 Nina Derwael and Noah Kuavita are the 2018 Belgian Champions! 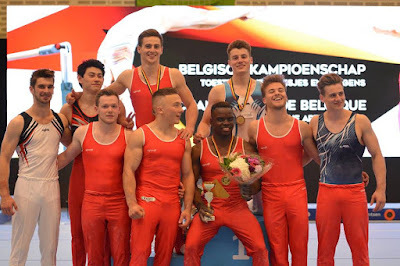 This weekend, Izegem hosted the 2018 Belgian Championships. With just a little over two months to go until the European Championships, our national teams, both Juniors and Seniors, are determined to show the best of themselves. On the women's side, Nina Derwael took the title easily, depsite two falls on beam, with the score of 53.050. Her best event was, no surprise here, the uneven bars, where she once again broke her record, scoring 15.350. Nina then delivered a good floor routine to win the first Seniors National title of her career. In silver position, we have Axelle Klinckaert, who showed an impressive and controlled Yurchenko full twist on vault. Beam was an issue for her too, but she delivered some good moves and even competed a brand new mount, a roundoff layout with full twist. She finished strong on floor with her Harry Potter-themed routine, to score 51.000. Senna Deriks completes the podium. She also had troubles on beam but entertained the public with her Michael Jackson floor routine. Her total of 49.550 was enough to award her the bronze medal, ahead of Maellyse Brassart and Laura Aerts. Rune Hermans only did bars and beam, while Julie Meyers only performed on bars. 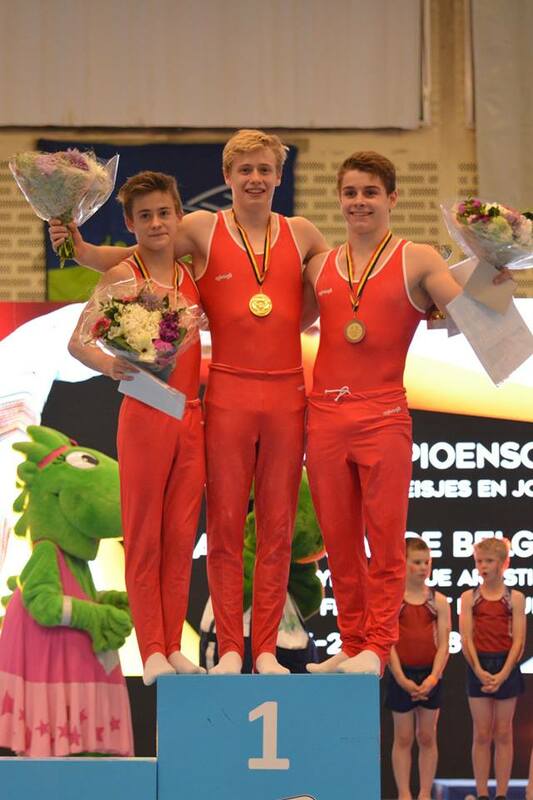 Fien Enghels won the Juniors title, with the total of 50.900 and a steady competition. 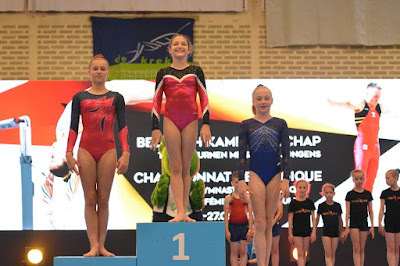 Her best event was the uneven bars, with a 13.000, and she showed great control on beam as well (12.850). Margaux Daveloose takes the silver (49.950). Margaux had to count a fall on beam but then came back strong on floor, where she earned the best score (13.100). Lisa Vaelen is in 3rd place, thanks to a good vault and an impressive full twisting double back on floor (49.250). On the men's side, the competition was exciting and wowed the crowd with impressive skills. Noah Kuavita, after amazing performances, notably on horizontal bar, floor and vault, earned a total score of 82.650. Jimmy Verbaeys also had a great meet, and despite a mistake on vault, has proven to be ready for the upcoming events. Verbaeys was particularly impressive on parallel bars, where he got the best score of the competition, with 14.400. Jimmy got the silver with 81.150. This competition also marked the return of Maxime Gentges, who had to undergo a wrist surgery after the World Championships last november. This was his first competition since Montreal and Maxime came to Izegem with no pressure and no particular expectations. But he proved to be fit and ready, enjoying every bit of the competition. Despite a fall on vault (a new one he still has to adjust on), he got 80.800 for the bronze medal. Right behind him, Takumi Onoshima had a great meet too up until the last event, when he fell on his high bar dismount. He was followed by Luka Van den Keybus and Yureck Van Eetveld. Jonathan Vrolix only did 5 pieces but got good scores on floor and parallel bars, while 2017 National champion Daan Kenis didn't compete on floor, after his horizontal bar routine went wrong. Finally, Dennis Goossens got an impressive 14.950 on rings. This competition was particularly important for the Juniors. Ward Claeys easily took the gold, with 76.750, ahead of Nicola Cuyle, with 74.300. In 3rd place, we find Victor Martinez, a 1st year Junior. He had a good competition despite a fall on high bar and continues his progression. He got 73.800. In 4th, Justin Pesesse impressed on vault and floor, and was in the medal position before he fell on high bar and pommel horse. He finished just ahead of Mattis Bouchet, in 5th. Glen Cuyle was 6th. Wout De Smedt, Senne Spyckerelle, Bram Vanmullen and Abel Stoop complete the top 10.